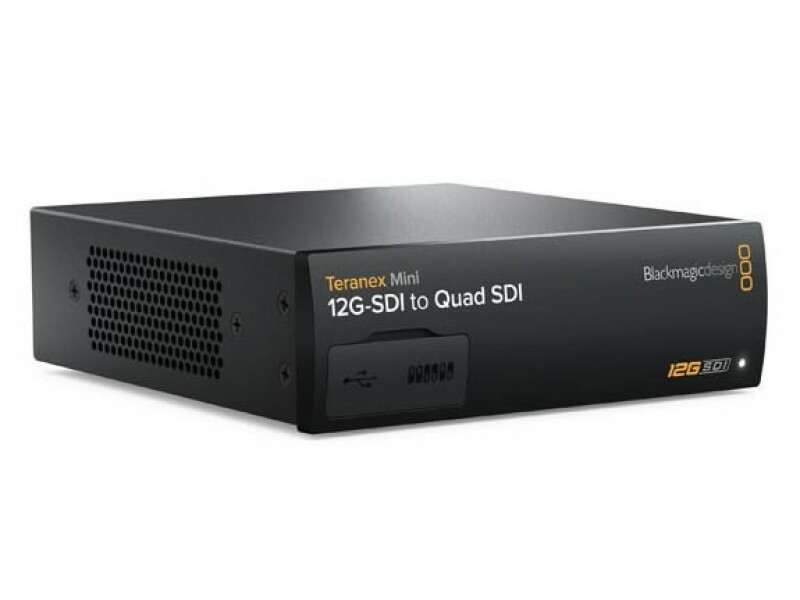 Blackmagic Design Teranex Mini Quad SDI to 12G-SDI you can connect Quad Link Ultra HD equipment to the latest 12G-SDI Ultra HD equipment. 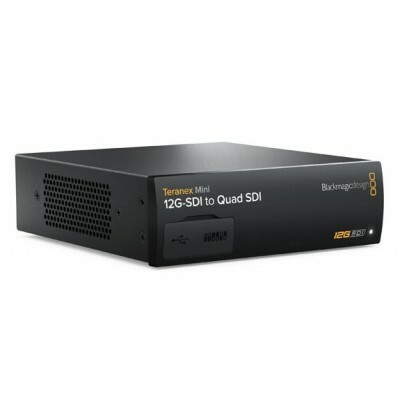 Allows equipment that uses four BNC cables to be connected using a single 12G-SDI BNC cable for connecting to the latest routers, switchers, projectors and more! Supports both Level A and Level B 3G-SDI equipment. 720p50, 720p59.94, 720p60, 1080i50, 1080i59.94, 1080i60, 1080PsF23.98, 1080PsF24, 1080PsF25, 1080p23.98, 1080p24, 1080p25, 1080p29.97, 1080p30, 1080p50, 1080p59.94, 1080p60. 1080PsF23.98, 1080PsF24, 1080PsF25, 1080p23.98, 1080p24, 1080p25. SDI video connections are switchable between standard definition, high definitionlevel A and level B 3G-SDI, 6G-SDI and 12G-SDI.